How hard is it for TripAdvisor professionals to choose just one hotel to be named first in its class? Harder than one imagines. According to PhocusWire.com, there are an estimated 500,000 hotels on the planet. This statistic is not arbitrary; it is based on numbers tallied by travel authorities like Priceline, Booking.com, Agoda, STR Global and Susquehanna Financial Group. 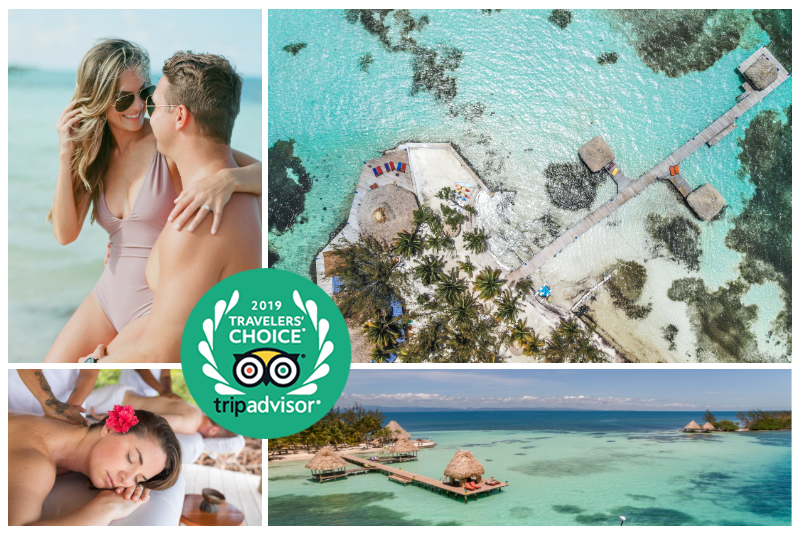 Given the fact that half a million hotels greet guests on any day of the year, it’s easy to see why owners and staff at Belize’s Coco Plum Resort were overwhelmed when they received notification from TripAdvisor that the property was named #1 in its Small Hotels Traveler’s Choice category for 2019 and #1 in their 2019 Top Hotels for Romance Traveler’s Choice category, beating out high-end competitors in Belize. Additionally, Coco Plum took second place in World Top Traveler’s Choice Hotels for romance. As TripAdvisor attests, romance is in the air at Coco Plum Island, which is why the Belize resort took these three coveted awards. In fact, this is the fourth year in a row the property earned a #1 spot on their 10 Top Hotels for Romance list. TripAdvisor takes its ranking seriously, using an algorithm based on best value, service, amenities, overall vacation experience, quality of accommodations, proximity to attractions, onsite restaurants and—importantly—feedback from guests who are not afraid to speak their minds in this day and age of full disclosure. But just having favorable reviews didn’t seal the deal for Coco Plum Island Resort. This popular Caribbean island resort has purposefully aimed to gain the attention of publications, rating entities and romantics by prioritizing attention to detail. This commitment remains a priority for the resort as is the consistency of their service. In fact, TripAdvisor is so committed to tracking numbers so winners of their annual rankings are accurate, they re-calculate every day in the interest of transparency. Numbers and rankings notwithstanding, there’s a difference between quantitative analysis and qualitative analysis (as any social scientist can tell you), which is why high rankings really come down to popularity. Coco Plum amenities, accommodations and all-inclusive packages are all designed around the desires of honeymooners, couples coming to Belize for anniversary stays and those who seek the ultimate in privacy, discretion and pampering. TripAdvisor isn’t alone in recognizing the exceptionality of Coco Plum. Conde Nast gave the resort its coveted 2019 Johansen Award in recognition of imaginative weddings, parties and special occasions celebrated at Coco Plum Island, the resort’s romantic environment and diverse activities focused on couples eager for adventure. For more information about why romance is better in Belize, and specifically at Coco Plum where comparisons to other resorts continually place this haven atop statistics and records, the media is invited to learn more about these awards, Coco Plum’s wedding packages, romantic getaways, and amenities by contacting us by email: contact@cocoplumcay.com or toll free: (800) 763-7360. We are always delighted to provide members of the press with photographs that show what no words can describe!